Launching in Japan this November is the DJK X Casio G-Shock 7JR G-8900DJK. 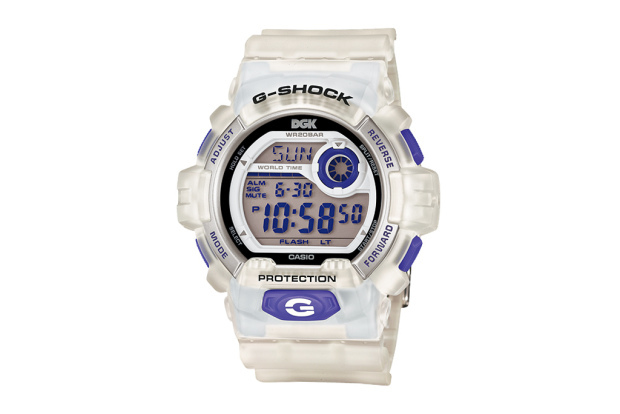 This translucent number marks the second collaboration between Steve Williams's street/skate crew and G-Shock. As well as being water resistant and boasting multiple time and alarm displays, we love the purple detailing and powerful backlight. It's Christmas, what better gift to give than a G-Shock!